Come out and join us for movie time at the SFC! What is a food forest, and what does it look like in our backyard? Our neighborhood? Our community? What role do our feathered friends play in this perennial food system? Bring a finger food snack to share and join us [Backyard Poultry Meetup] for a summer food movie and discussion at the Sustainable Food Center headquarters. 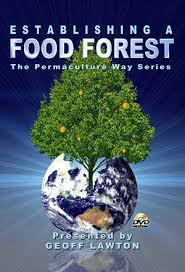 We’ll be watching excerpts from the Establishing a Food Forest with Geoff Lawton dvd (with permission for public viewing granted from the Permaculture Research Institute and EcoFilms Australia). After the movie excerpts, we’ll have a panel to provide additional insights on food forests. Our panelists include Kirby Fry with Permablitz Texas and Southern Exposure; and Elizabeth Walsh and Zach Herigodt of the East Feast Coalition. We will also have Daryl Stewart of the ape99 Permaculture Meetup and Jon Van Lowe of the Food is Free project to share their experiences of food in a community. Look forward to seeing you and your delicious snack there!